The world’s simplest folding bike, lightweight and ultra-portable. The STRiDA was invented in the United Kingdom as an elegant solution to a pressing urban problem – the daily commute. The STRiDA has evolved over the past 20 years to become the lightest, cleanest, most efficient and easy to use folding bike on the market. 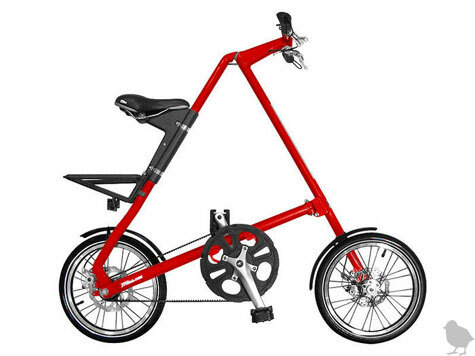 Its unique triangle construction, greaseless chain, and six second fold time truly distinguish it from the legions of overly complicated and heavy folding bikes on the market.